I'm ridiculously excited about today's Christmas Spectacular project! 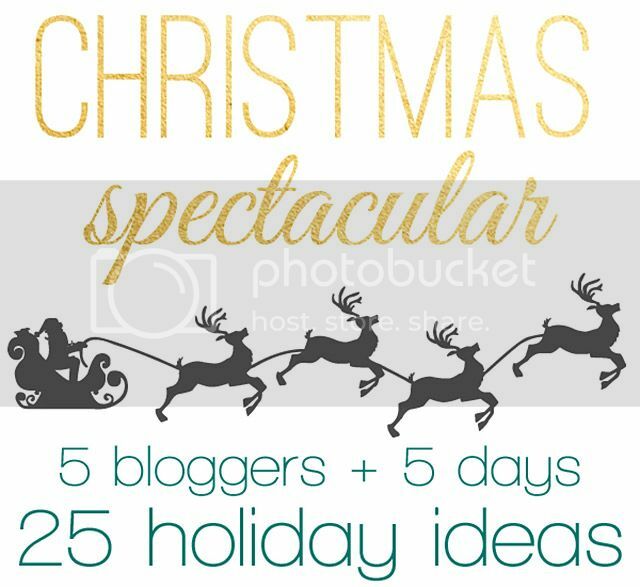 For those of you that missed yesterday's announcement, I've teamed up with Gina from The Shabby Creek Cottage, Jenna from Rain on a Tin Roof, Jen from My Fabuless Life, and Kelly from Live Laugh Rowe to bring you 25 holiday ideas! Home Alone is one of my favorite holiday movies. Fun fact: it was filmed in a suburb North of Chicago, about an hour away from where I grew up! 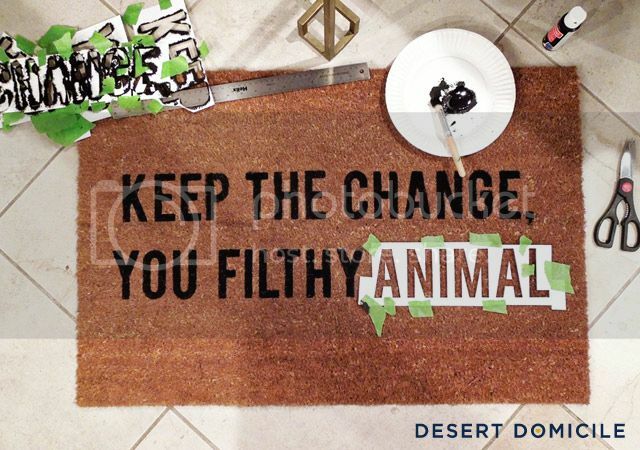 Needless to say, when I saw this Reed Wilson doormat on Fab.com, I was instantly smitten. I didn't want to pay $30 for it though since I knew I'd only have it outside for the holiday season. I thought I could make a knock off version so I got to work! 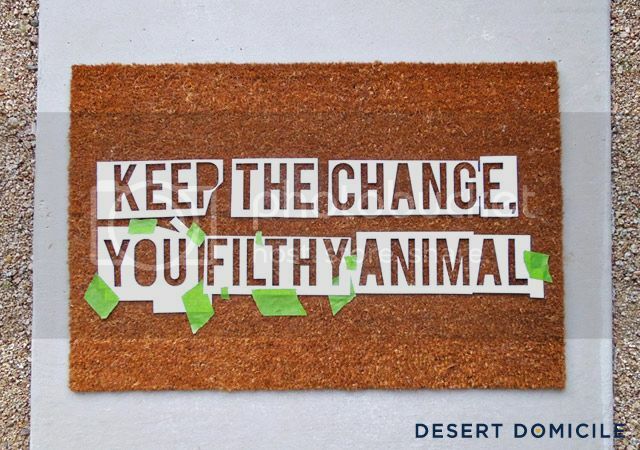 I had all of my supplies (doormat, paint, stencil brush) on hand so my doormat didn't cost me anything but time! If you have to buy your supplies, it'll probably cost you about $10 - $15 depending on what you need and where you shop. 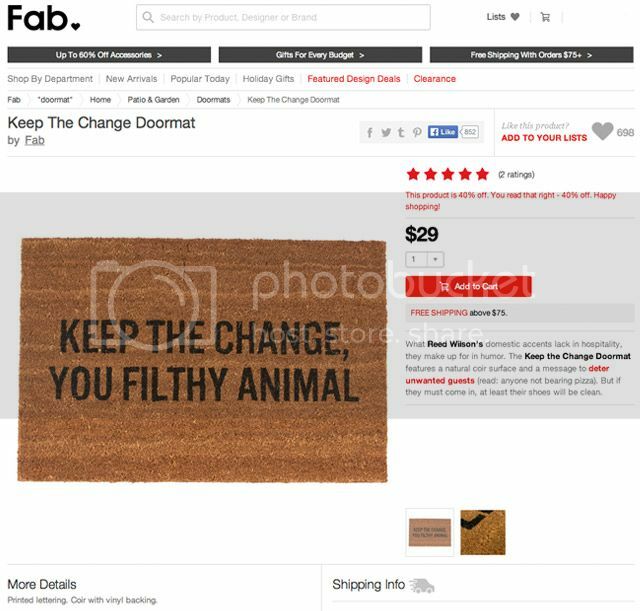 IKEA sells a cheap $10 doormat (it's the same one I used) and both Michael's and Walmart sell cheap craft paint (~70¢/bottle). I'm sure you could find a stencil brush there too! 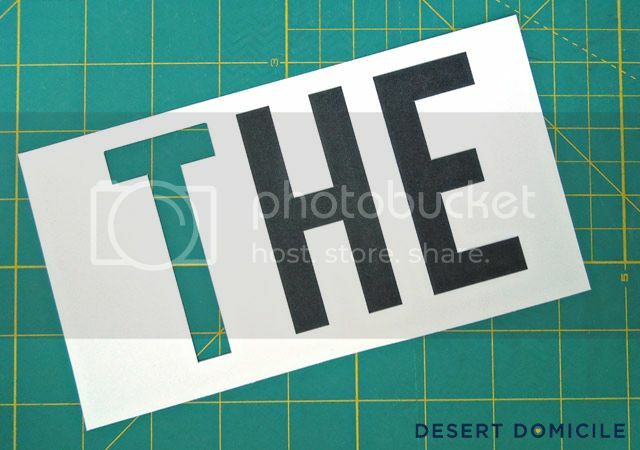 Cut each of the letters out with an X-acto knife. Take your time and be as precise as possible during this step. 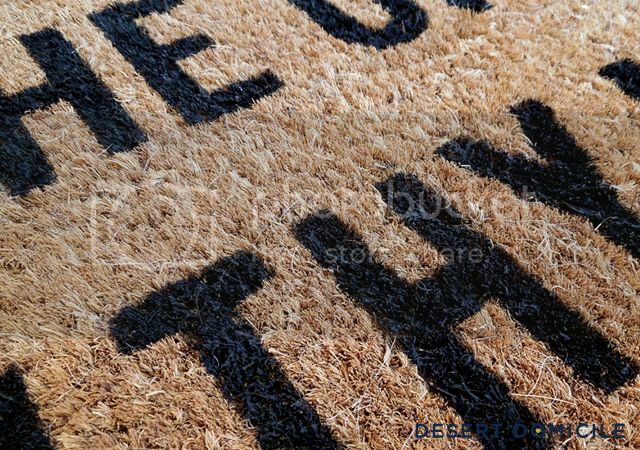 Any miscuts will show up on your doormat! Make sure you keep the middle of the "P" "A's" and "O"! 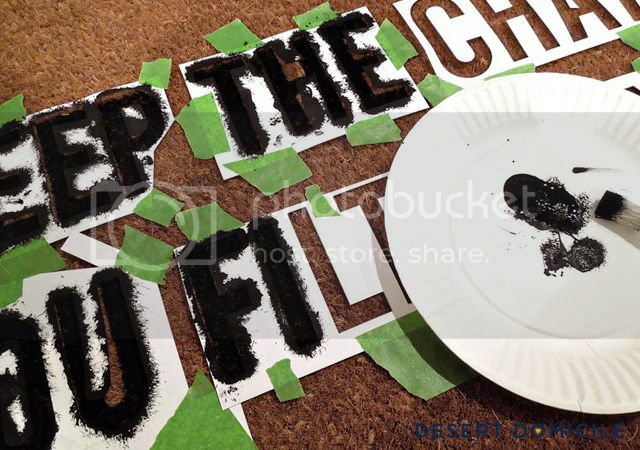 I taped the longer words together before lining up the stencils. I should have pushed the two lines closer together like they are on Reed's doormat but I like how my final spacing turned out. I added some black paint to a paper plate and started stenciling! 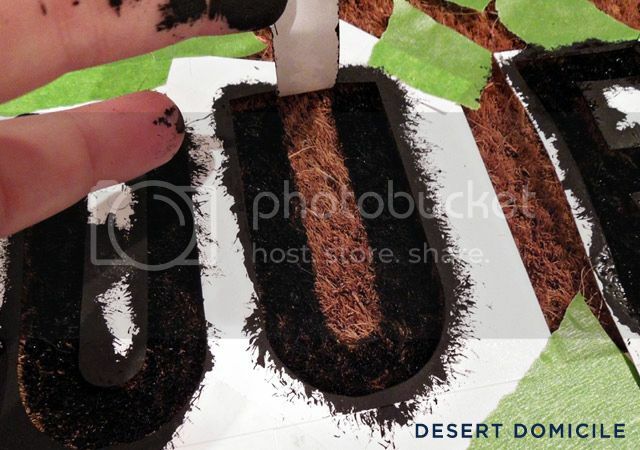 I held the edges of the letters down while applying the paint in a straight up and down motion. 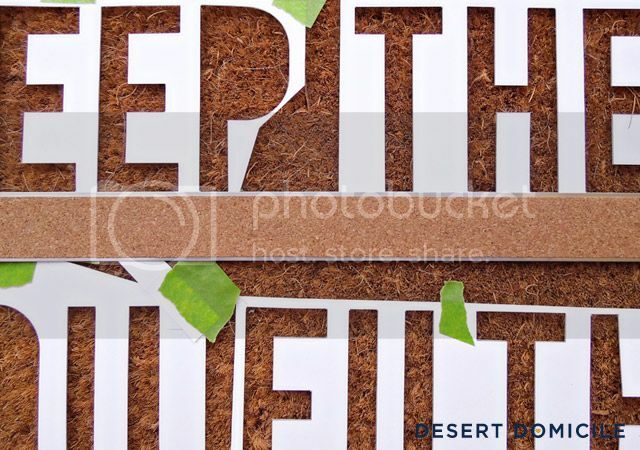 Note: I should have had a larger paper border at the top/bottom the edges of some of the words ("keep" and "filthy" for example). I had to be extra careful around those areas so I wouldn't get paint outside the stencil. 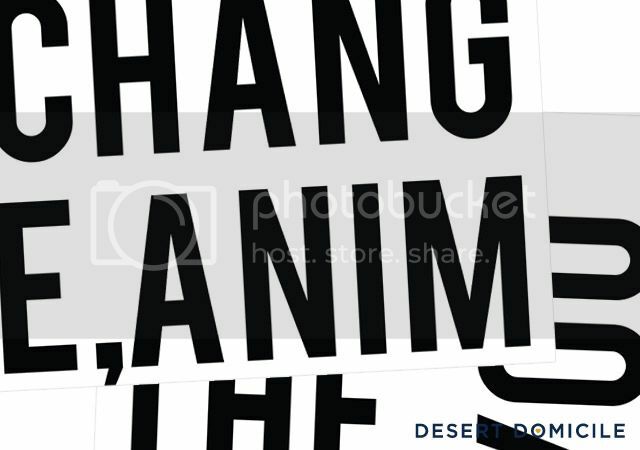 I removed each stencil as soon as I was finished with the word. I didn't want to run the risk of it shifting and smearing the wet paint. I let everything dry for 24 hours before brining the doormat back outside. I'm so proud of those crisp lines! This is so cute Caitlin! Those crisp lines ARE fantastic! HA! i love this- so fun! This was one of my favorite things to say when I was a kid because I watched Home Alone like once a week. 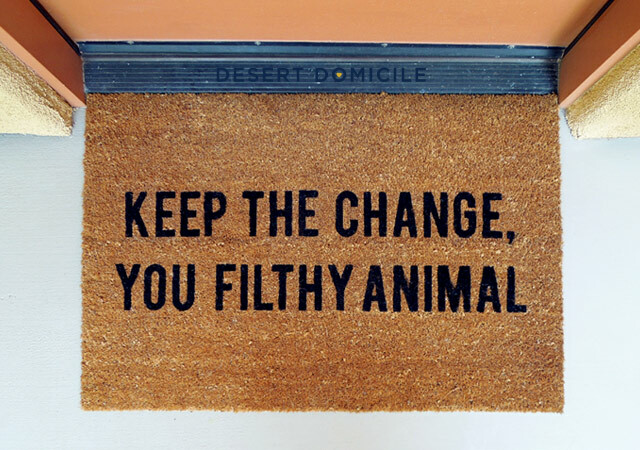 It's so cheeky on a doormat I LOVE IT! I love how this turned out. Your x-acto knife skills amaze me!! This is so clever - I can't tell you how many times I've watched Home Alone in my lifetime. Bringing back memories. Featured you today on NewlyWoodwards. Love! I can't wait to give this DIY a try. 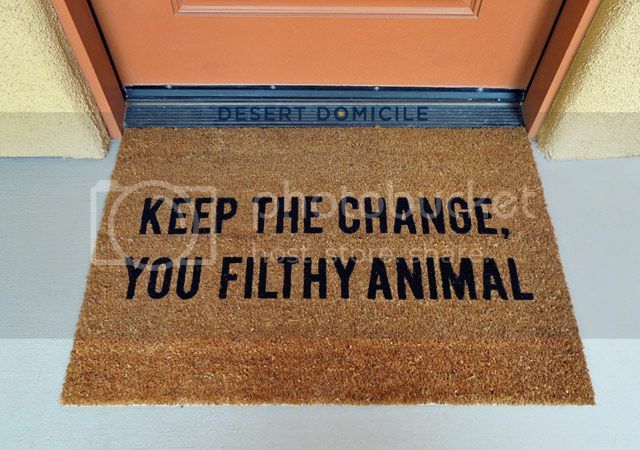 I've been eyeing one off, but couldn't bring myself to pay $70 for a doormat! I just used craft paint. We have a covered porch and we live in the desert so it doesn't get rained or snowed on. I just put it out the other day and it looks as good as it did on day 1!